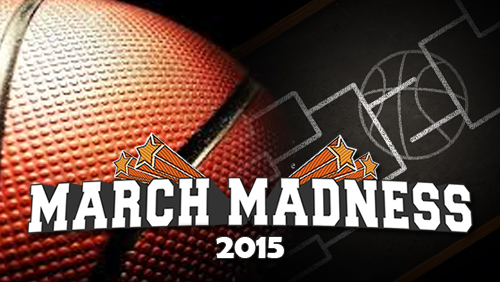 March Madness 2015: Where can you find the best bracket challenge? 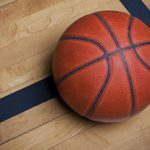 March Madness is a huge business and it doesn’t take much to find free-to-enter contests that you can sign up and join. Now, the obvious ones are always available, including the March madness challenges being offered by the likes of CBS, ESPN, and Yahoo. But there are other ways to get into the hysteria to the tournament without having to put up some money in the process. First, though, let’s start with the three sports websites. Of the three, Yahoo’s the only won that has guaranteed a monetary price. 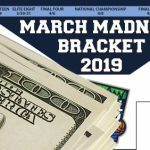 Sign up and play they’re “Best Bracket” contest and you immediately get a chance to win $50,000 if you pick the best bracket. It’s not exactly close to the $1 billion that Yahoo co-sponsored as part of the Quicken Loans Billion Dollar Bracket Challenge. Yahoo determines the winner through a completely convoluted and incredibly complicated formula that tacks on different points depending of the correct picks made in any round. I’m not going to begin to try to understand how it works, but for those interested to sign up, you can do so provided you meet their requirements. In this case, only US residents are allowed to be play and even then, you’ll have to be 18 in most states and 19 in both Alabama and Nebraska to be allowed. 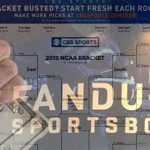 If you’re not into cash prizes and prefer something a little more in kind, CBS’ annual Free Bracket Challenge. 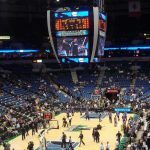 It doesn’t guarantee a prize for a perfect bracket, but it does reward a participant who is among the top ten percent of eligible point scorers with a “with a grand prize” that includes four tickets to the 2016 Final Four and $6,000 to help cover the cost of attending next year’s tournament. The caveat here is that you don’t need to have the best bracket to win. Just get into the aforementioned “top 10 percent” and, well, pray that your number is called. Like Yahoo and ESPN, CBS’ challenge is available to those based in the US. Unlike Yahoo and ESPN, CBS’ challenge is also open to people from Puerto Rico and Canada, not counting residents of Quebec. Then we get to ESPN, which always has some kind of over-the-top challenge ever year. This season, ESPN’s keeping it a little more tamed. It’s not even offering a guaranteed prize to the best overall bracket like CBS. Instead, ESPN, together with Allstate and Best Buy, is dangling a a prize package valued at “just under “$30,000” to a randomly-selected entrant that made it to the top one percent of eligible point scorers. It’s a little more difficult field to gain entry to compared to CBS, but you have to admit that the package is a little more alluring than CBS’ offer. Entrants for the ESPN challenge must also be based in the US and must be 18 years and above to join. The March Madness challenges being offered by Yahoo, CBS, and ESPN are just three of the many challenges being offered these days. If you don’t find any of them appealing, you can still go through the daily fantasy sports route. 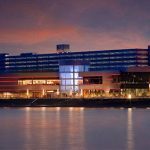 The guys over at FanDuel and DraftKings have their own challenges geared towards the tournament. For FanDuel, the promotion is called “Survive the Madness,” which is apparently based on the win-and-advance concept of the tournament itself. Entry to the tournament costs $100 but should you win, you get the opportunity to score $40,000 in first place money. That’s a big chunk of the $250,000 total pot FanDuel is promising and you don’t even have to win the tournament to win some cash. Just advance to the third round and a prize will come your way. On the other hand, DraftKings is touting its own challenge, dubbed “March Mania,” a bracket-style tournament that comes with a first prize of $20,000 culled from a total pool amounting to $100,000. Oh, and just to ensure that its players have more opportunities to win something from March Madness, Draft Kings also has a couple of other tournament-based leagues that’s guaranteeing another $250,000 in prizes. Whichever challenge you sign up for, best be sure that you come ready for the unexpected. That, after all, is what March Madness is all about.